What do you get when you take a buffalo and a chicken and a pasta salad and smoosh them together into one delicious, flavorful recipe? 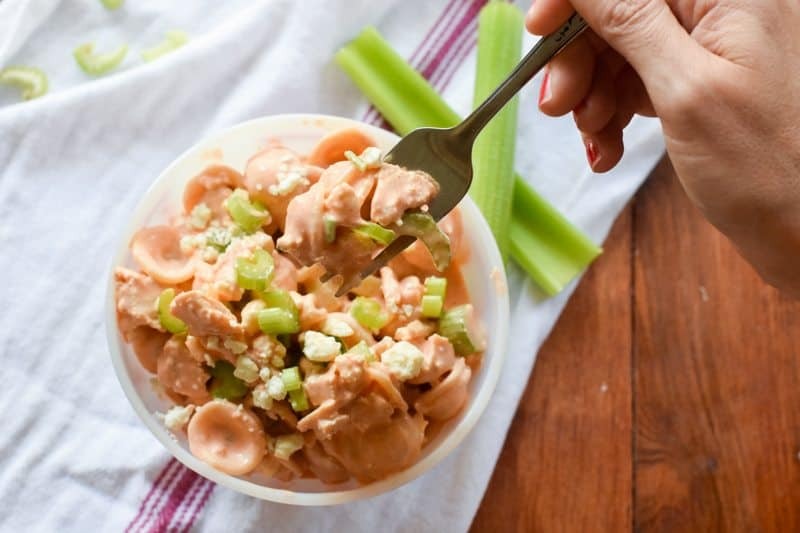 Buffalo chicken pasta salad, of course! Okay, maybe that’s a lie. There is no actual buffalo in this recipe, nor is there a bit of lettuce (although you could totally add it yourself). But it still is buffalo chicken salad. And it’s delicious. You might appreciate this fun and easy variation of the traditional buffalo chicken wings. 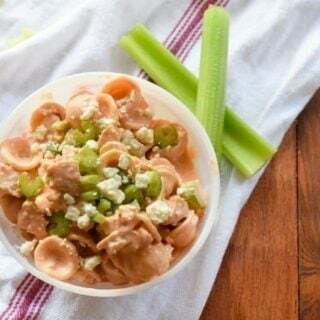 It is also a delicious and flavorful variation on a traditional chicken salad that is always a hit at potlucks and picnics. This is one of those dishes that you take a few bites of and think you just “kinda like it”…and then you take a few more. And before you know it, you will eat your whole plate of salad and are looking for more. It will sneak up on you like that. So prepare yourself. If you’re making it for a football party or some other group event, make more than you think you’ll need. 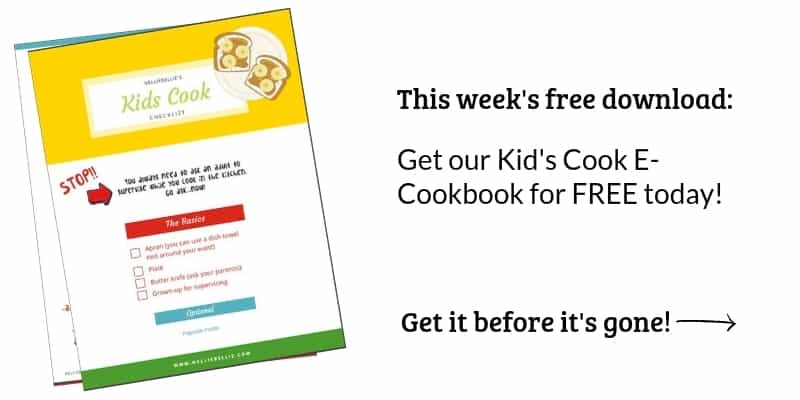 My son, Levi, loves this recipe. And he looooves buffalo wings, which means this recipe does them justice. I made him taste it before I took photos and he kept asking me when he could eat the rest. And when I said it was safe he ate everything that was left. Which is a good sign! We love the blue cheese in this recipe. We think it really cools the dish down and adds some much needed creaminess. Even Levi, who hates blue cheese, agrees it is great in this recipe. So take it from the 15 year old and add some! Just kidding, if you really hate blue cheese, as many people do, you can just add some ranch instead. 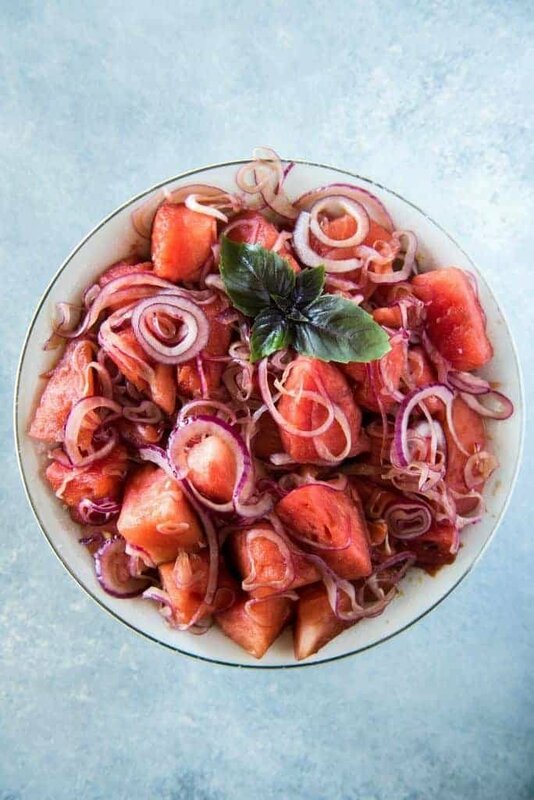 It may make your salad more liquidy, so drizzle it on top rather than incorporating it. 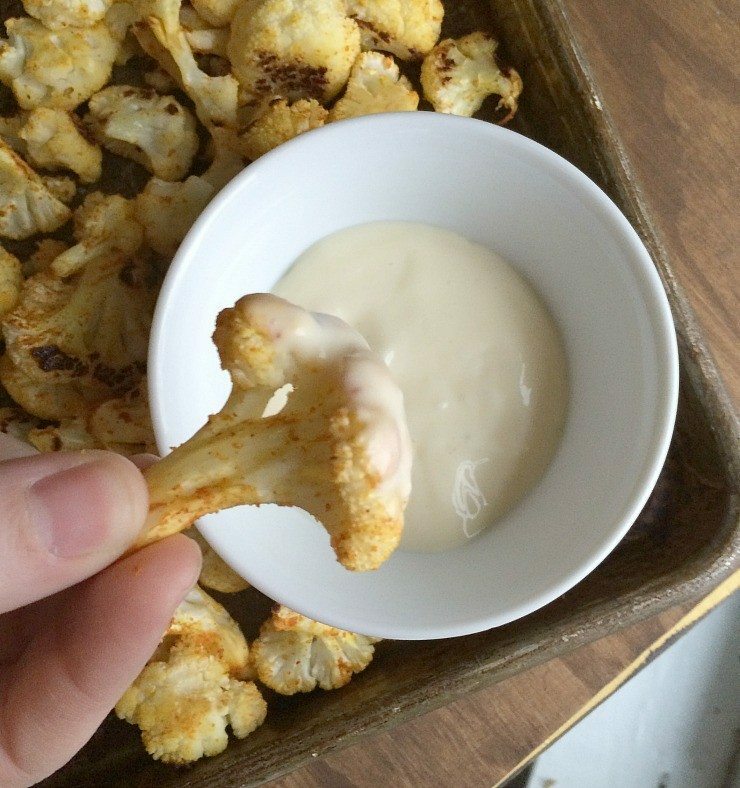 Better yet, replace some of the mayo or yogurt with the ranch. If you incorporate it rather than replace ingredients, just use enough to have the ranch to buffalo ratio that you love. Again, beware of extra liquid! We also choose Frank’s Red Hot as our buffalo sauce, but other types of hot sauce will work just as well. Feel free to add or remove buffalo sauce as you feel like you need to. We like ours pretty spicy, but we know some people do not. Start with less, add more! 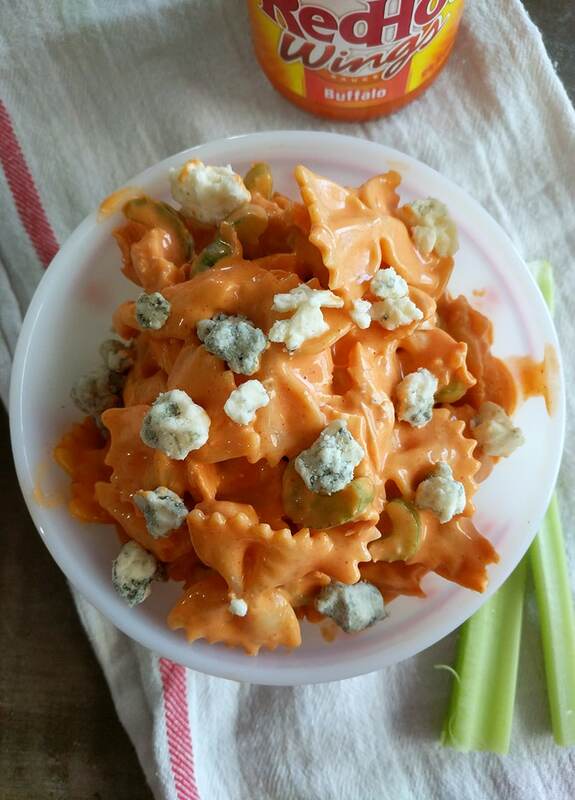 Just be aware that as you add more buffalo sauce your pasta salad will gain liquid. In fact, if you wanted to you could directly add hot sauce. We’re a little nervous about this as it could get really hot, but if you like your dishes extra spicy we say go for it! What is Buffalo sauce made out of? Homemade buffalo sauce is made of hot peppers, salt, and vinegar. However, buffalo sauce often has some butter-type flavorings added, unlike hot sauce which is almost always just hot peppers and vinegar. Why is Buffalo sauce called Buffalo? Legend has it the first plate of buffalo wings were served in Buffalo, which is why they were named as such. Don’t worry, it is not made out of real buffalo. What is the best Buffalo wing sauce? We’re a big fan of Frank’s Red Hot, and we think it works best in this recipe. We think it has the best texture and heat level. If you find it in the grocery store you can even choose from hotter sauces. Obviously, use your favorite. 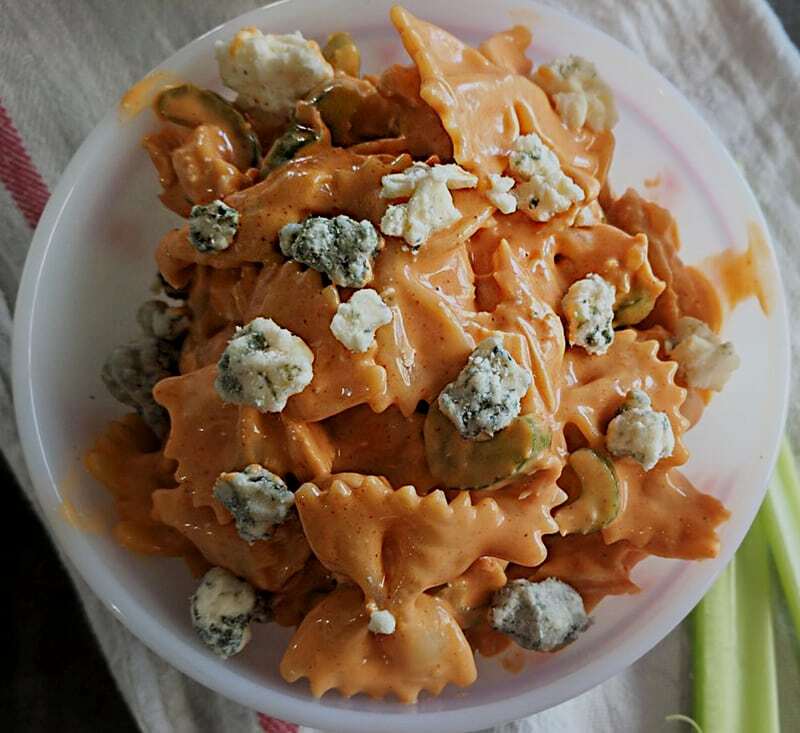 Mix all ingredients together, except the blue cheese. Add buffalo sauce if you like. Right before serving, stir in blue cheese. Sounds pretty doggone good to me. 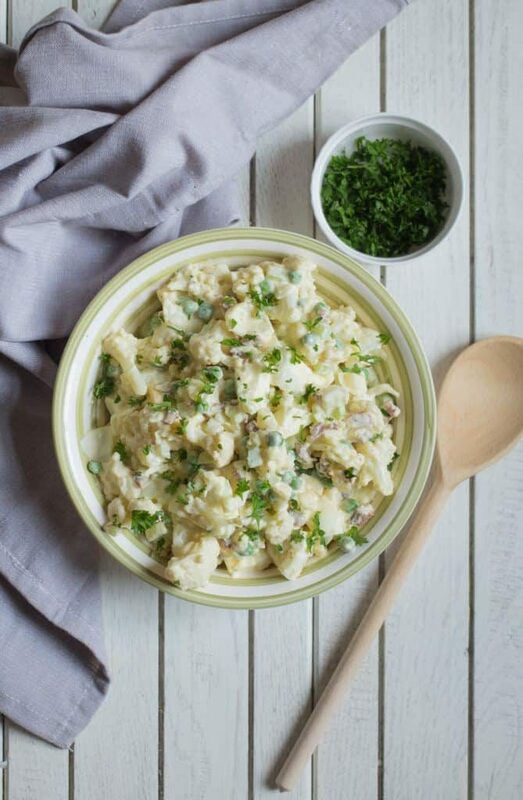 I don’t usually make pasta salad — I know I’m Italian and why don’t I make a pasta salad. Well the reason is that by the time you dump all the stuff into it — it makes so much I’m sick of eating it. But since the family will be coming down for a get together and they all like chicken wings and bleu cheese and hot sauce this would be good.